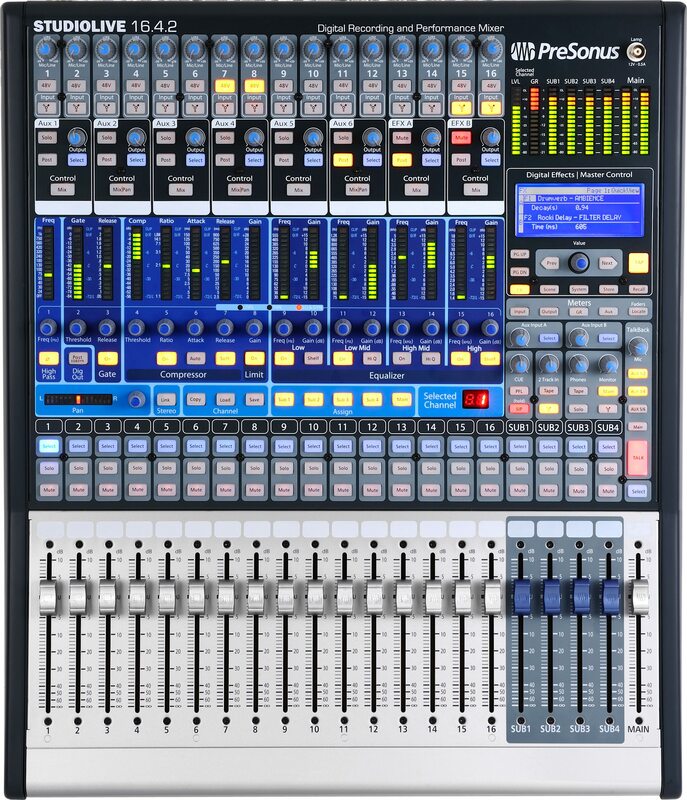 StudioLive 16.4.2, Digital Mixer from PreSonus in the StudioLive series. PreSonus has released his demo program and the list of artists that will appear at the NAMM show 2009. Thursday, 1 pm: PreSonus Press Conference. 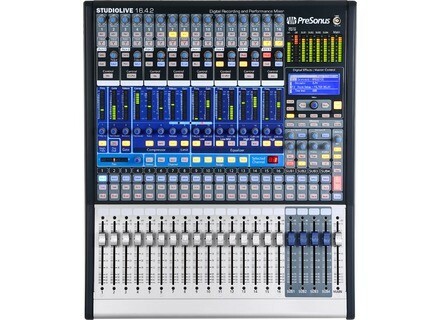 Presentation of the new StudioLive 16.4.2 digital mixer, Capture software, and other new products. Friday, Saturday, and Sunday, 12:30 pm and 3:30 pm: Producer, Drummer and author of the book Band|Smart, Martin Atkins will demonstrate the StudioLive and talk about mixing the new Pig Face record. Friday and Saturday, 2 pm: Victor Wooten, Steve Bailey, and David “Fingers” Haynes will demonstrate the StudioLive. Thursday through Sunday, 11 am: PreSonus "All Star Band" StudioLive demonstration, hosted by PreSonus Product Manager Justin Spence. Band members: David Haynes, drums; Randy Emata, keyboards; Jerry Henderson, bass; and special guests. Learn how to set up and create a front-of-house mix and monitor mixes with the StudioLive, while recording the show with PreSonus Capture software. KRK Ships Ergo Worldwide KRK Systems announced the worldwide availability its ERGO (Enhanced Room Geometry Optimization) system, a stand-alone hardware room correction system that corrects recording studio acoustics. Advanced Learning:Remix It Like a Record Auraleo Advanced Learning and FaderPro.com announced Remix It Like A Record, an interactive remixing course taught by producer Vincent DiPasquale, together with DJ, producer and remixer Steven Lee, and created in collaboration with educator and mixer Charles Dye. [NAMM] JZ Microphones Presents BT-201 JZ Microphones will be introducing its new BT-201 microphone at the NAMM Show 2009 in Los Angeles.